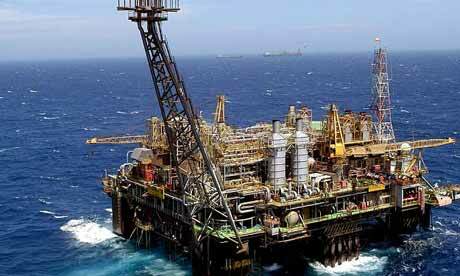 Transfer Latin Business Consultancy has become an institutional partner of Accelerate Oil & Gas, The Brazilian Oil & Gas Development and Investment Expo-Forum 2013, scheduled to take place at the Windsor Barra Hotel, Rio de Janeiro, on 21st- 22nd May, 2013. Accelerate Oil & Gas is widely supported by the Ministry of Development, Industry and Foreign Trade (MIDC), the Government State of Rio de Janeiro, through The Secretary of Economic Development, Energy, Industry and Trade (SEDEIS, its acronym in Portuguese), Apex – Brasil, UK Trade & Invest, national and international trade & industry associations including chambers of commerce representing various countries. With the partners support Accelerate Oil & Gas will bring together local and foreign investors and the expo-forum will have the program “Meeting Manager”- the tool which allows registered attendees to pre-schedule private meetings through an online platform with their most suitable counterparts. Accelerate Oil & Gas 2013 will centre around a dynamic cycle of panel sessions and presentations. Highlights will include a special session hosted by IBP (Instituto Brasileiro de Petróleo, Gás e Biocombustíveis) focusing on advances in Pre-Salt Exploration & Production and the market impact of the government auctions in 2013. ABEMI & SEBRAE in conjunction will be featuring buyers from Petrobras and other leading operators and EPC companies during exclusive roundtable networking session. As part of the program, technological innovation showcases, a concurrent exhibition featuring products and services critical to the implementation of Oil &Gas based projects and round tables designed to bring buyers and sellers together. As a benefit for the members of institutional and media partner organisations, Faircount Media Group is offering 15% discount on online registration including for exhibitor and sponsor packages. Registration is now open for a limited number of participants, therefore early registration is advisable. *The event team offers reduced values to purchase airline tickets through their airline partner - TAM Airlines. To redeem this special discount, please input the code TSR2013 by registering online at Accelerate Oil & Gas, where the agenda and further details about the event can also be found.